The first interstellar ship, John Glenn, fled a solar system populated by rogue AIs and machine/human hybrids, threatened by too much nanotechnology, and rife with political dangers. The John Glenn's crew intended to terraform the nearly pristine planet Ymir in hopes of creating a utopian society that will limit intelligent technology, but by some miscalculation they have landed in the wrong system. 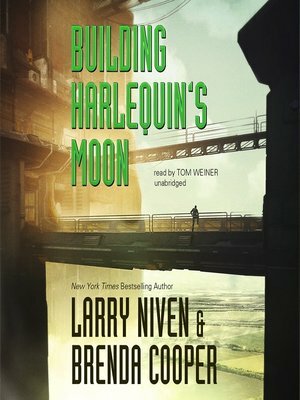 Short on the antimatter needed to continue to Ymir, they must shape nearby planet Harlequin's moon, Selene, into a new, temporary home and rebuild their store of antimatter through decades of terraforming. Gabriel, the head terraformer, now leads this nearly impossible task; his primary tools the uneducated and nearly illiterate children of the original colonists, born and bred to build Harlequin's moon into a virtual antimatter factory. With no concept of the future and with life defined as duty, one girl, Rachel Vanowen, begins to ask herself, what will become of the children of Selene once the terraforming is complete? Brenda Cooper is the author of the Silver Ship series: The Silver Ship and the Sea, Reading the Wind, and Wings of Creation. She has also published many short stories, including a collaboration with Larry Niven, "Ice and Mirrors," in Scatterbrain.